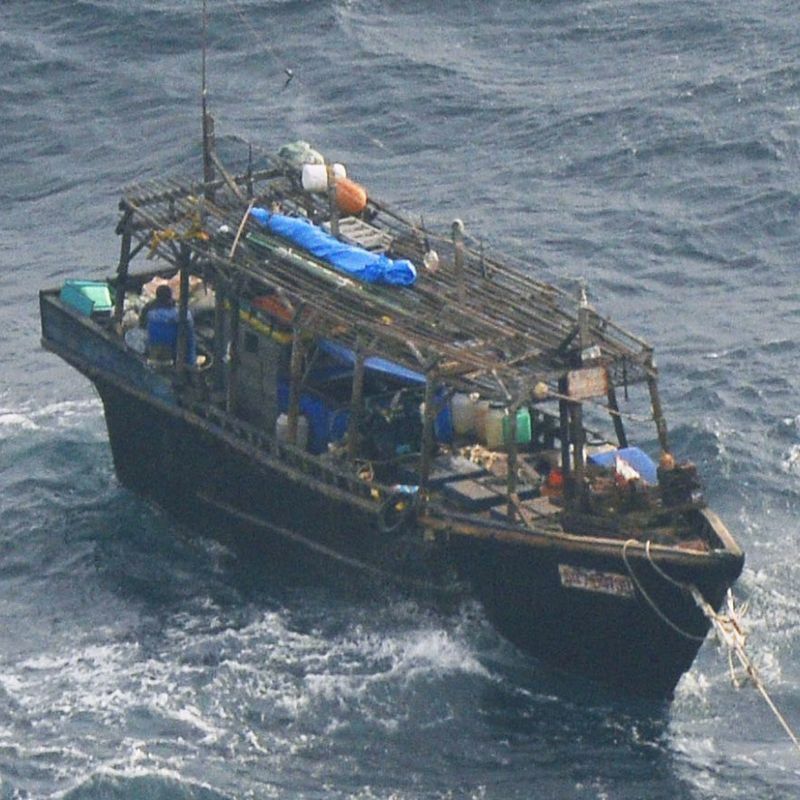 SAPPORO - Japan on Friday deported eight of the 10 crew members of a North Korean fishing boat after they were involved in a theft on a small northern Japanese island last year. Immigration authorities in Sapporo said a plane carrying the eight has left New Chitose Airport. Nine of the 10 were arrested or referred to prosecutors on suspicion of stealing a power generator from a hut on the uninhabited Hokkaido island, but all but the captain were not indicted. The crewmen were believed to have been fishing for squid in the Sea of Japan before their wooden boat was found drifting in waters near the island off the town of Matsumae in late November. The men told the Japan Coast Guard that they temporarily took shelter on the islet due to bad weather. Three crewmen were arrested in December, but only the 45-year-old captain was indicted on a charge of theft, with investigators believing he played a leading role. He will be tried at the Hakodate District Court. The remaining crew member has been hospitalized for treatment of tuberculosis and he is also expected to be deported after recovering. According to a fishery cooperative in Matsumae which owns the hut, electronic appliances and other items went missing from the facility and total damage was estimated at 8 million yen ($73,200). 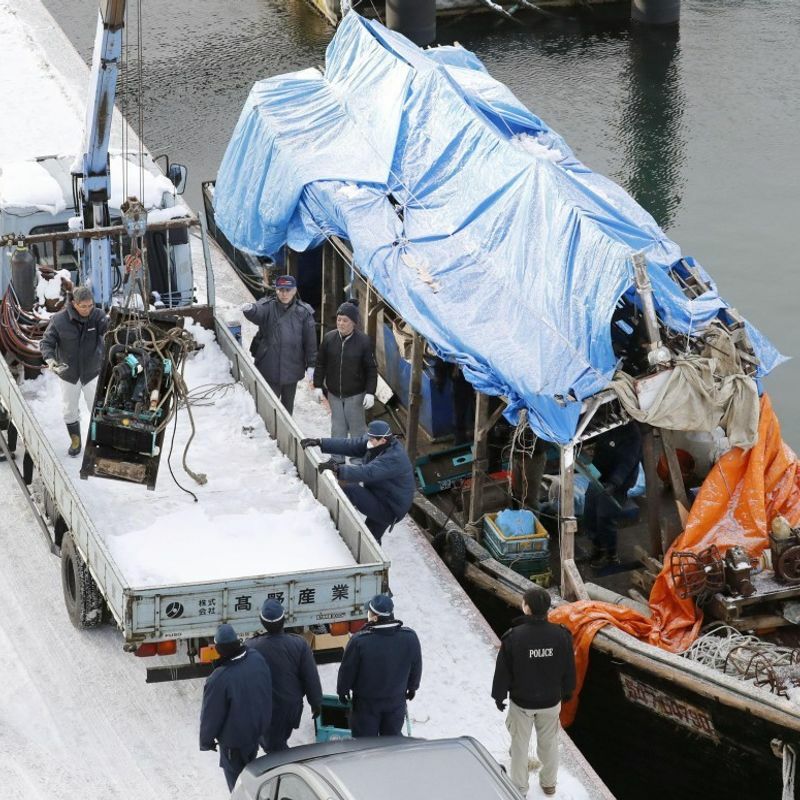 There has been a series of cases in which boats apparently from North Korea have washed ashore in northern Japan, including some with bodies.